Well I was at a bit of a loose end so I dug this out from my WIP folder.. begun in 2003 finished 2007. heh. anyways Antonio Sabato as Alpha Flight’s Northstar in a more patriotic uniform. I can’t remember exactly why i didn’t finish this before, but I think i was unhappy with the texture on the suit and the skin color (was originally a black and white image). Redid the color and the textures and tidied up some sloppy cutting and masking. fixed some shading. 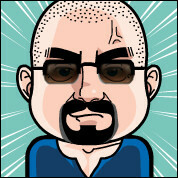 You may recognise the base from a couple of other submissions – Captain Britain springs to mind. ;) nothing wrong with a bit of reuse. i realise this is more normally Guardian’s uniform, but I felt that a government sponsored team would all have similar uniforms. 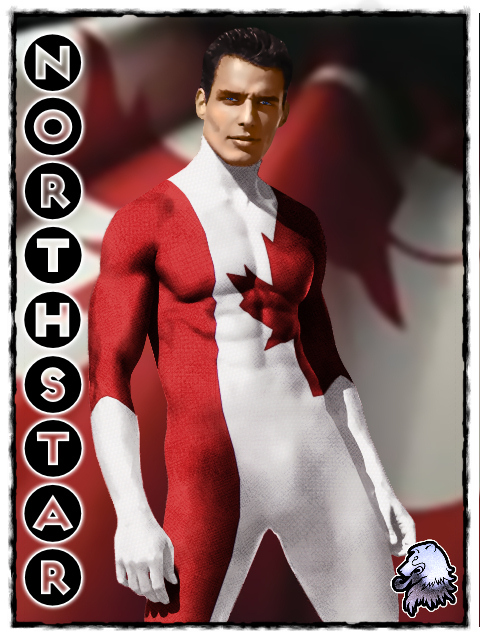 Maybe if i did it again I would add more of a nod towards Northstar’s original costume but in Canadian colours.